Markus Dubischar’s Elementary Latin class is seldom so elementary. Krista Yetter’s fifth-graders from Cheston Elementary School in Easton visited in April. The gaggle split into six rings around tables at Oechsle Center for Global Education and learned from real-life Leopard Latin students about prefixes and Latin word origins. “The word ‘company’,” explains Hayden Dodge ’19 to a cluster of students, “begins with the Latin prefix ‘co-’ or ‘com-,’ which means ‘with.’ And ‘-pany’ comes from Latin ‘pan,’ which means ‘bread.’” So “company” are the people with whom you share your bread. The word could be viewed as “bread buddies,” Dodge tells the group. 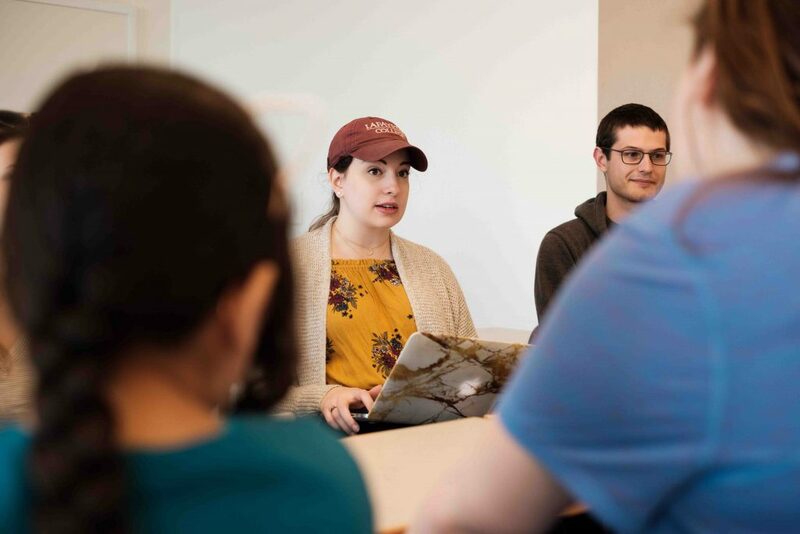 The students’ visit was part of the Aspirations program, a partnership between Lafayette and Easton Area School District that supports student growth at both institutions. Aspirations exposes children in the district to college early in their educational careers in order to increase their aspirations toward post-secondary education. 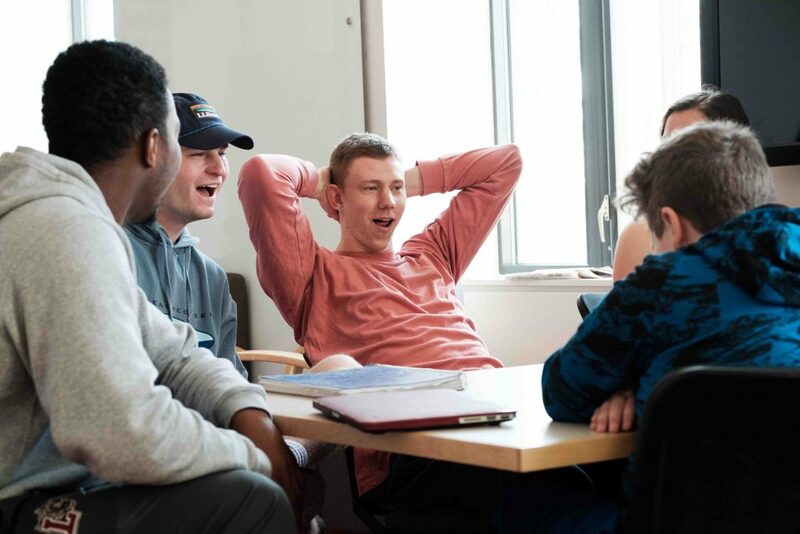 At the same time, Lafayette students develop their leadership and critical-thinking skills by introducing them to theoretical concepts and encouraging them to apply and explain these concepts in practical situations. Dodge was about the same age as the students when he first encountered Latin in school. While the language is no longer actively spoken today, Dodge loved it and wanted more. He had trouble squeezing it into his schedule as a double major in electrical & computer engineering and math. “This is the first semester I’m not taking exclusively technical classes,” he says. 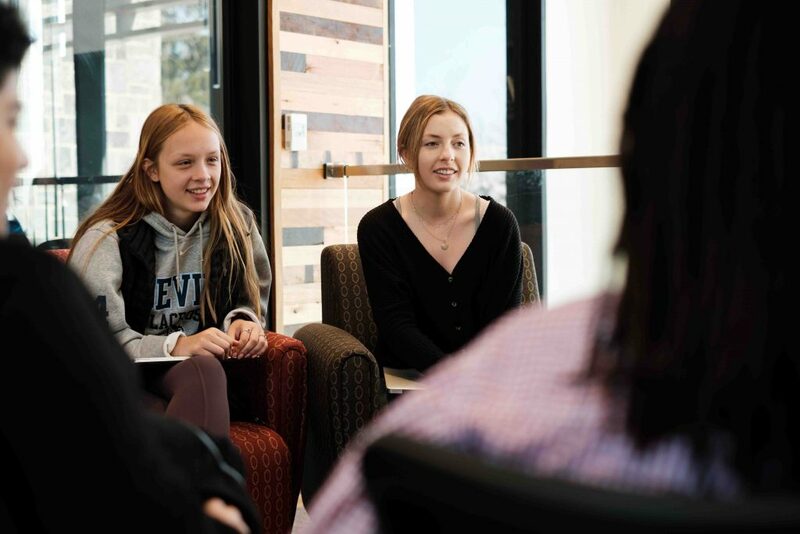 “Then we can learn more prefixes because if we want to go to this college, we can go to the Latin classes and we can know more than the other students know,” she says. Kaylin Morales, 12, says her favorite part was learning about the word “school.” “You think it’s really different than what it is in English,” she says.